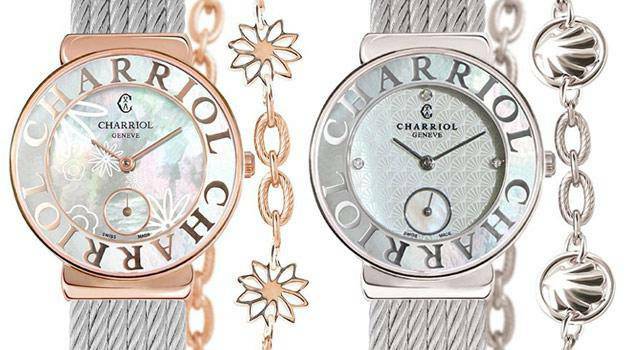 This season, CHARRIOL has been inspired by the glamourous Art Deco era, and has revisited the grace and femininity of this period’s jewelry and watches. The 1920’s was a time of exuberance, luxury and glamour, just like our motto ‘L’Art de Vivre La Difference’. 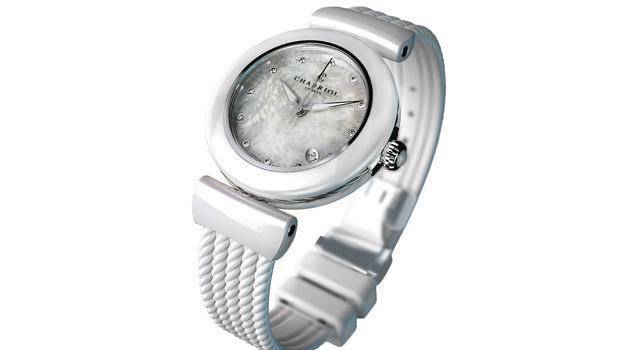 Now, in a new addition to our popular ST-TROPEZ™ watch collection for women, we draw on the highlife of the French Riviera and present a dainty extension to this chic range. 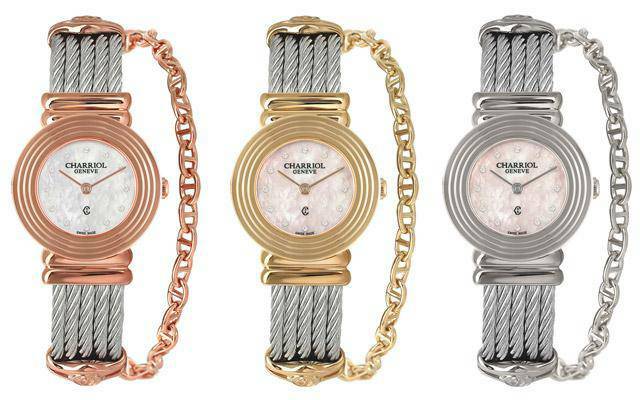 All the typical hallmarks of the ST-TROPEZ™ line are still displayed on this new, 25mm watch, notably the finely woven twisted cable strap and pretty chain bracelet. 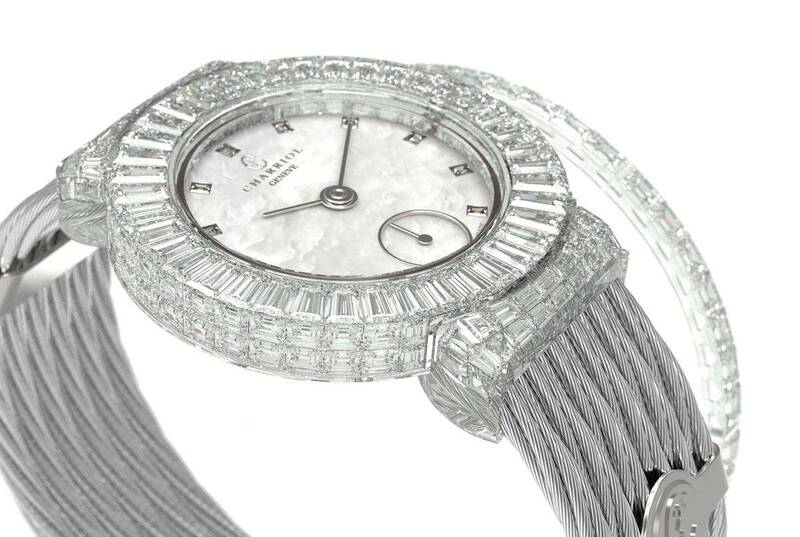 A fresh twist is seen on the bezel, where a geometric spiral pattern or a diamond-shaped design offers a nod to the 1920s. 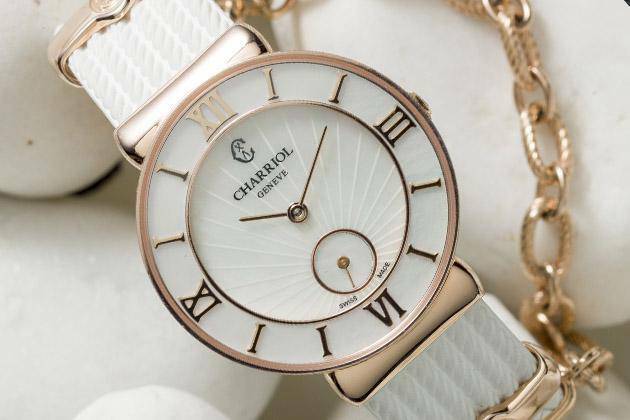 Models are available with a pink or white mother-of-pearl dial, set with 12 white zirconia, and the ‘CHARRIOL’ logo at 12 o’clock. 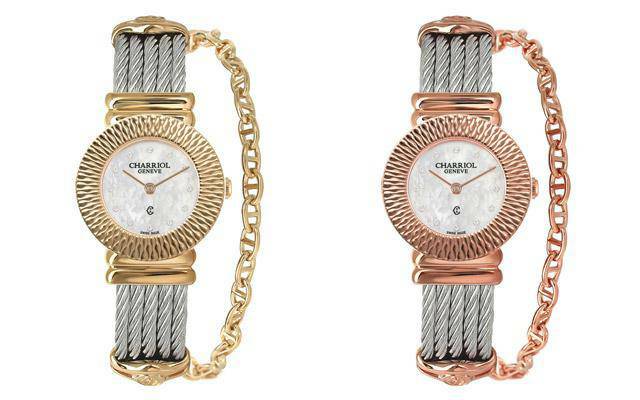 Choose from steel, rose or yellow gold PVD and drape this timepiece on your wrist before heading out to dance the Charleston or shimmy with the girls… the ST-TROPEZ™ Art Deco is a must-have for modern flappers everywhere.